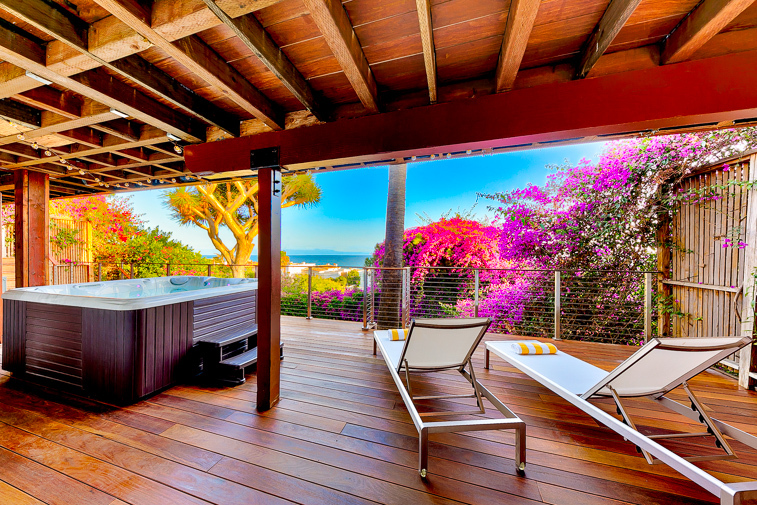 Colorful sunsets will be the norm from this multi-level deck home in Malibu. The views will never get old. 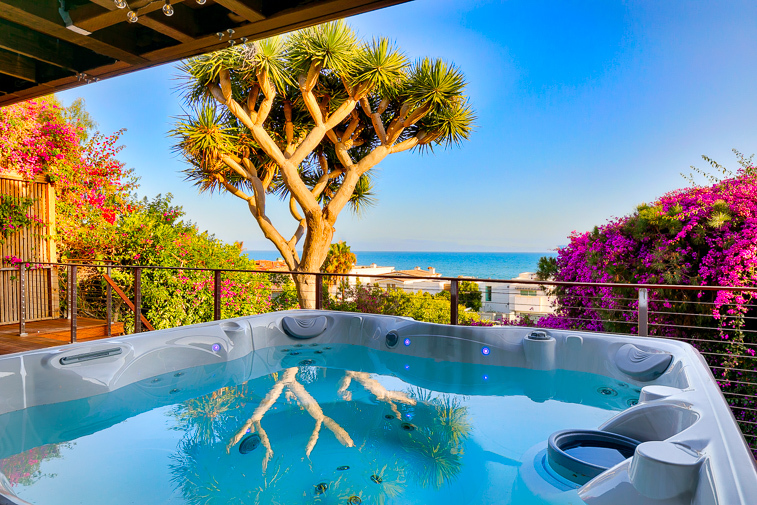 Enjoy sunset from your private spa. Imagine walking out to this view your entire stay. The choices from where to enjoy the view from are endless. 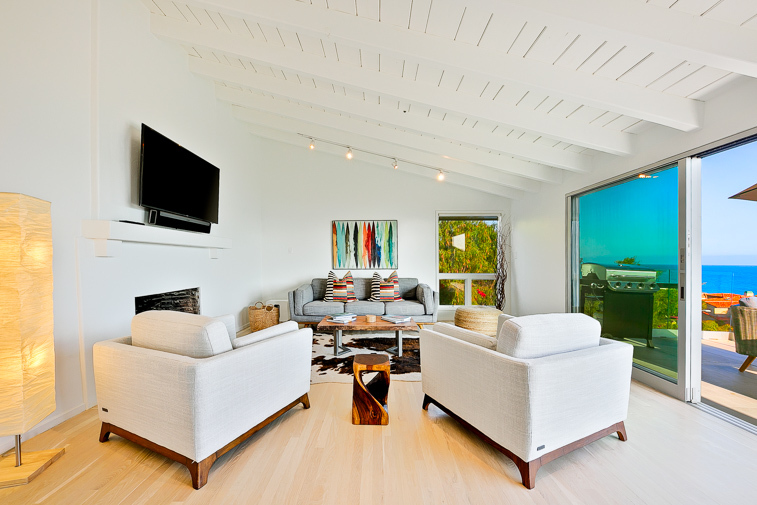 The family room of this house features ample seating indoor and outdoor to allow you to live the California lifestyle. 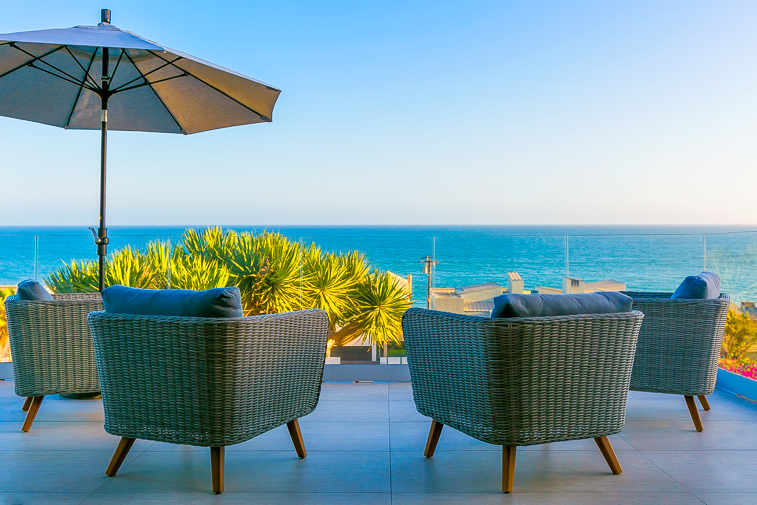 No matter where you chose to sit, the ocean view will always be present. Dine at this table and enjoy the endless ocean views. 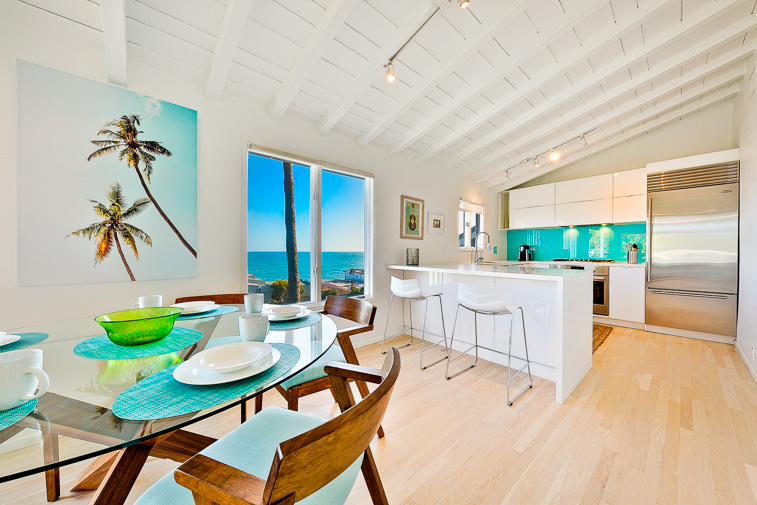 View from the dining table towards the updated kitchen with modern finishes and appliances. Counter top bar stools give additional seating options to enjoy meals at. 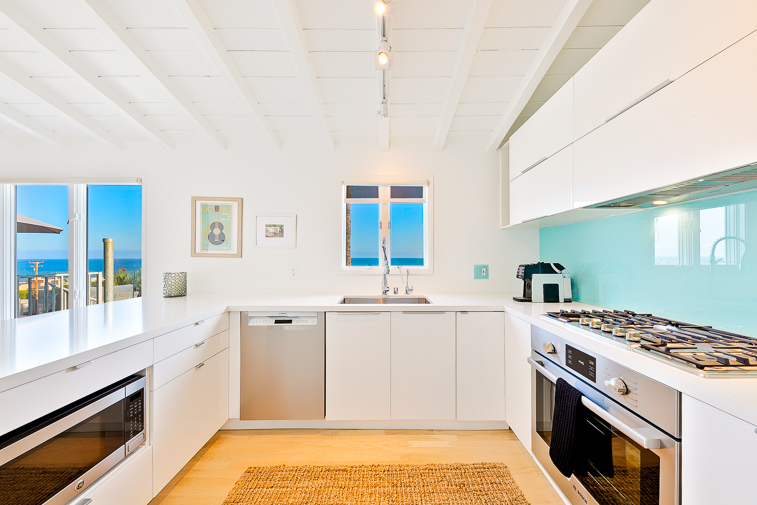 Wash the dishes and watch the white wash ocean at the same time. 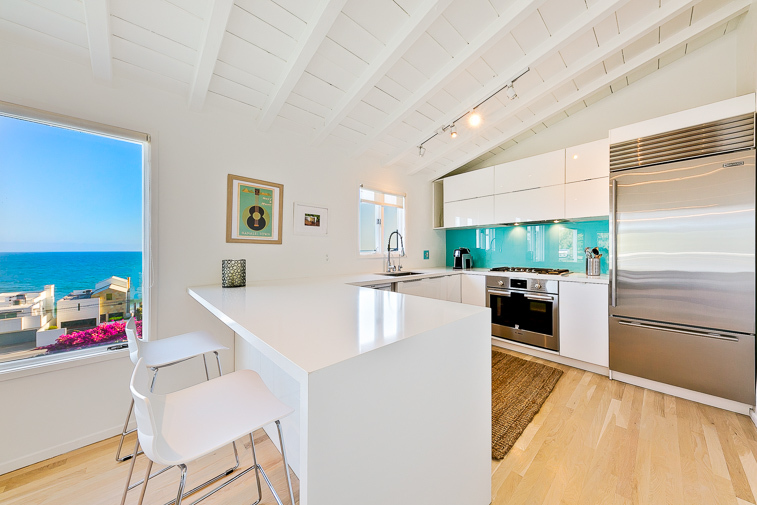 Chefs kitchen with updated appliances will allow you to prepare meals with ease. 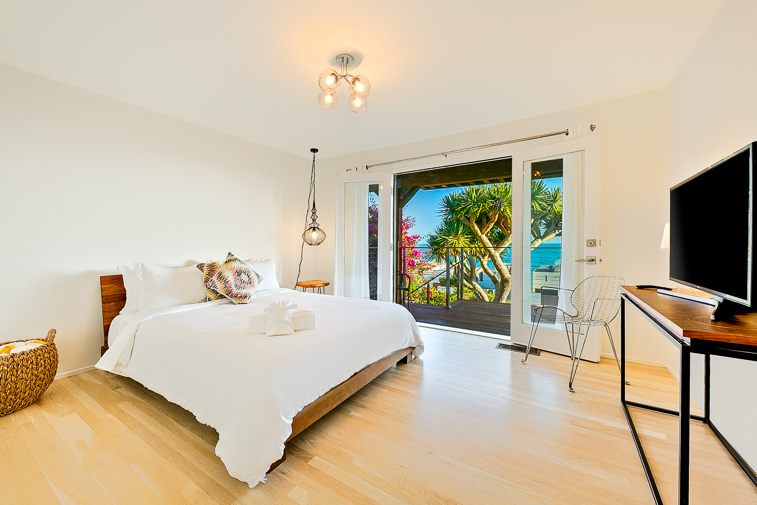 King master bedroom with access to ocean view deck. 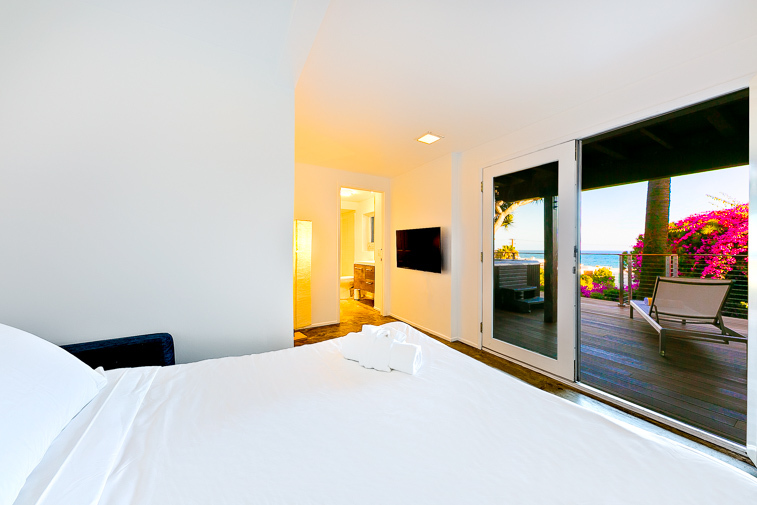 Reverse view of master king bedroom. 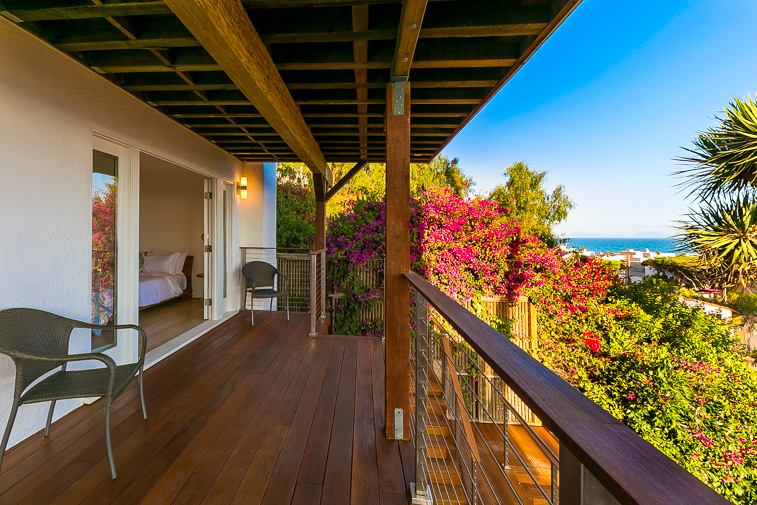 Enjoy waking up and lounging on the deck off the master bedroom. Alternate view of king master. Bathroom #1 with soaking tub and walk in shower. 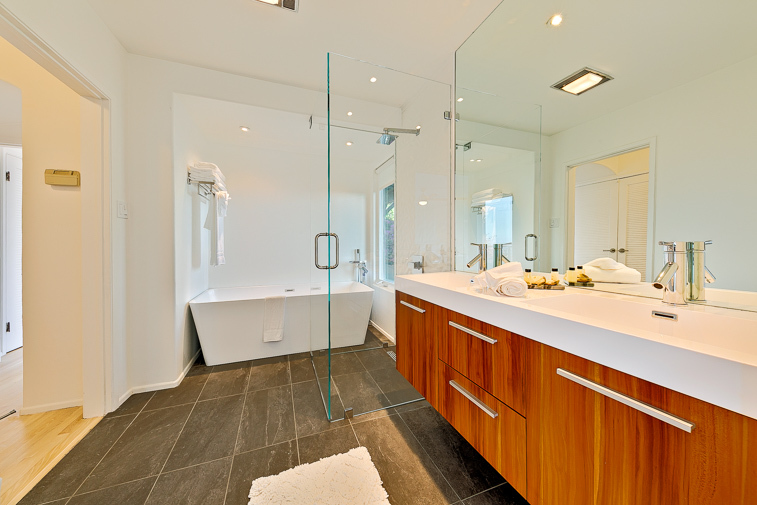 Dual sinks, walk in shower and soaking bath tub. 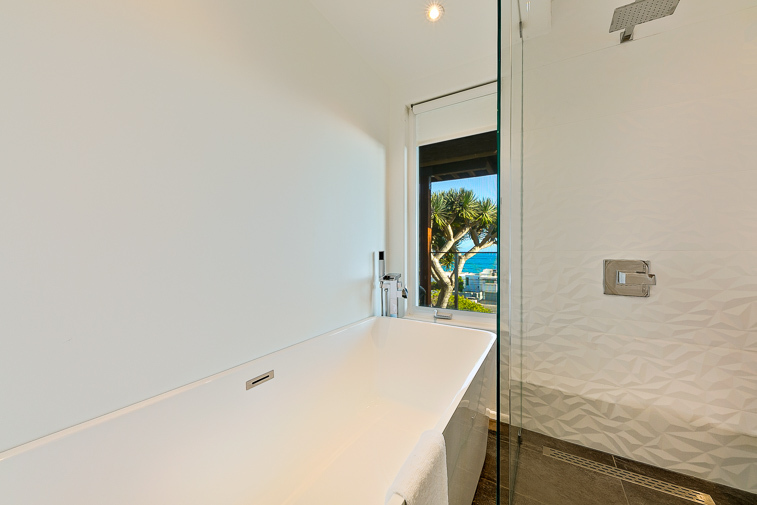 Ocean view from the bathtub. Guest room with queen bed and access to deck. 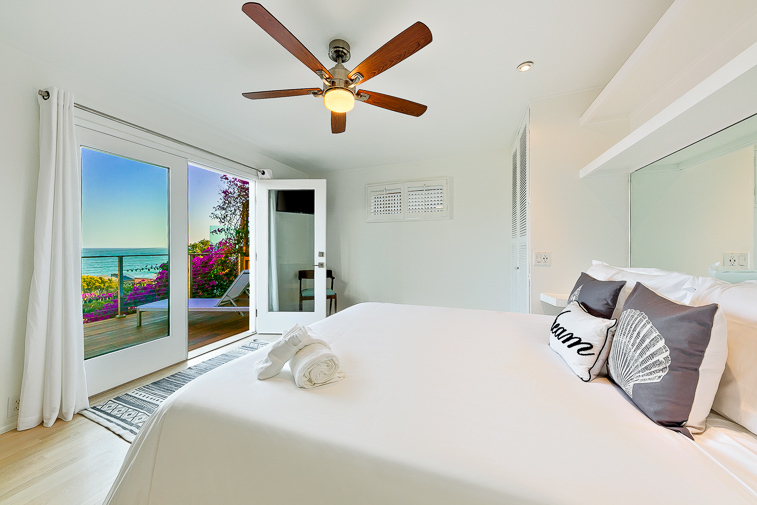 Ocean view from queen bedroom. Flat screen TV for your enjoyment. 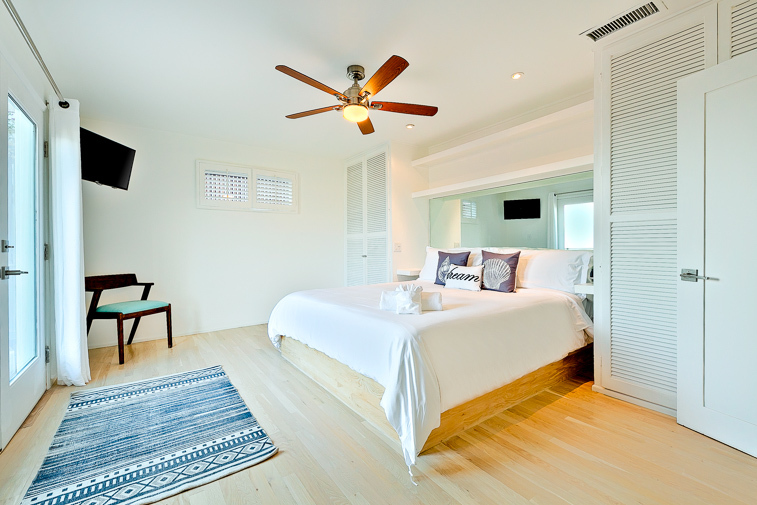 Private lower suite with full sized sleeper sofa, flat screen TV and bathroom. Pull out full sized sleeper sofa with ocean views. Alternate view of sleeper sofa and bathroom. Bathroom with walk in shower. 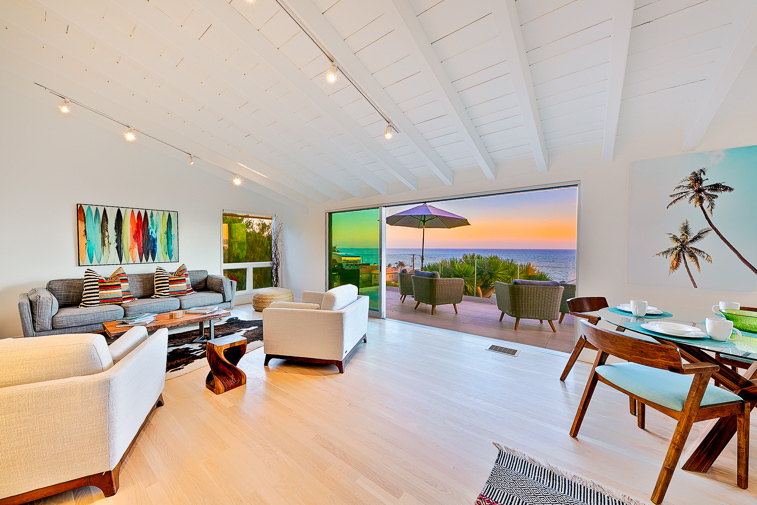 Lounge and relax while gazing off into the Pacific. Private spa and lounge chairs. 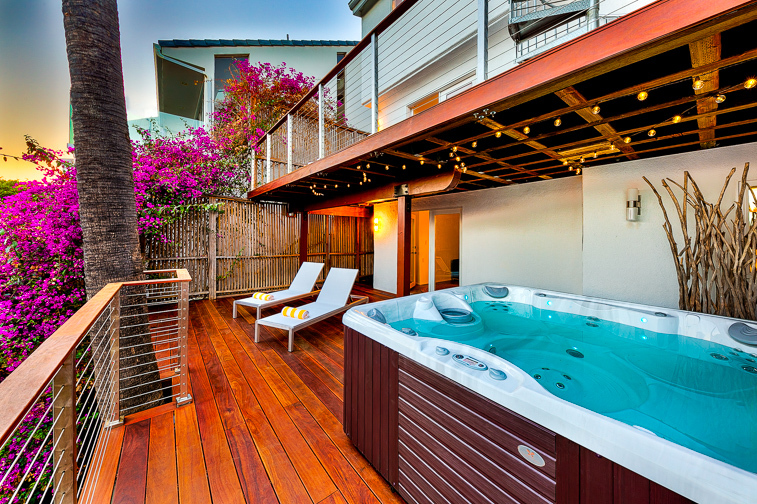 Enjoy the private spa on the lower deck. 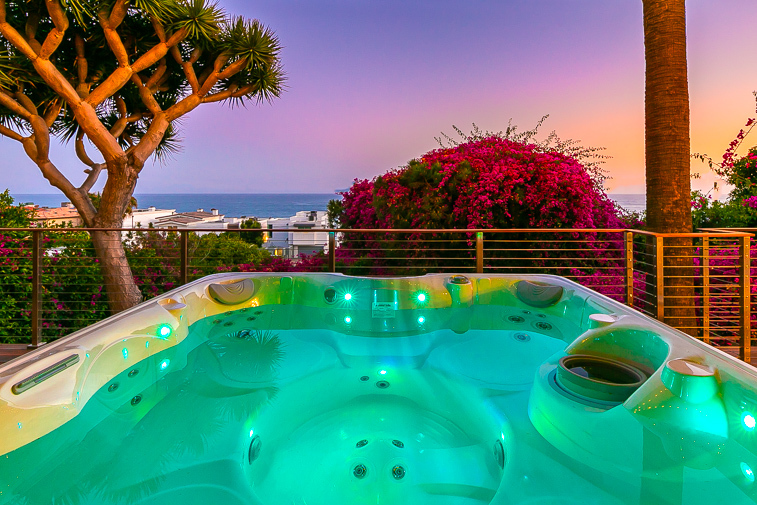 Enjoy the warmth of the spa while enjoying the ocean views. 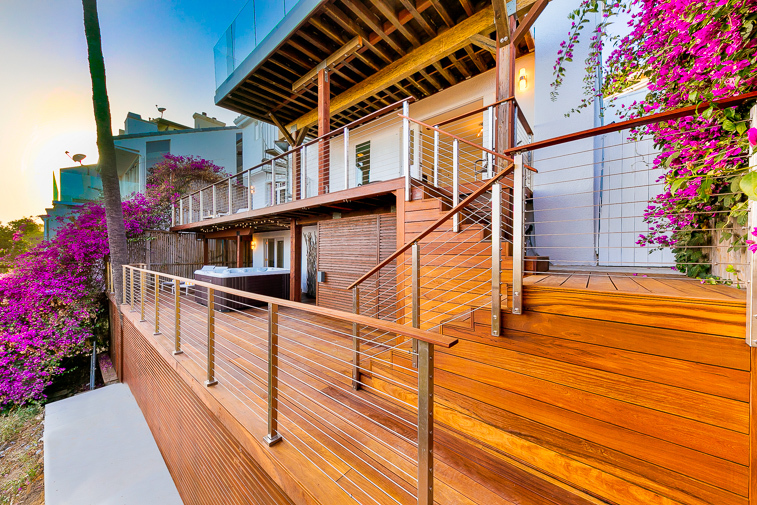 Multi level decks for your outdoor living enjoyment. Nicely appointed with mature vegetation. The views never end. 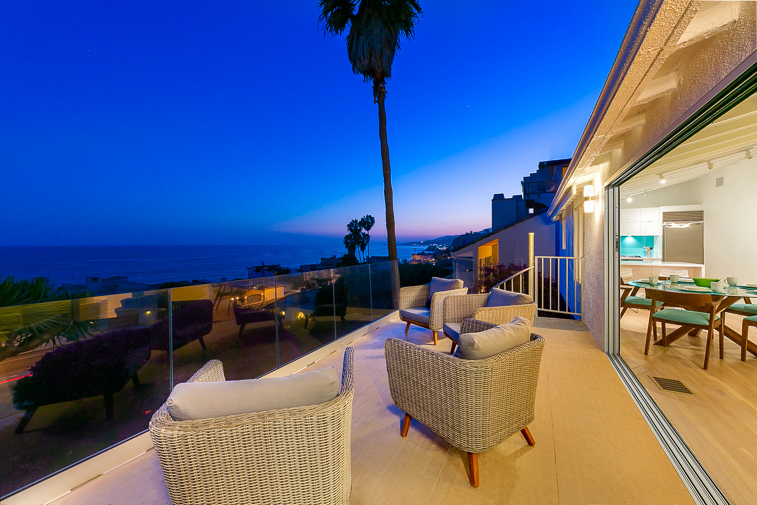 Enjoy the ocean blues view. Outdoor living at its finest. Enjoy BBQing and enjoying all that California has to offer. The views are just as good at dusk. Your hardest decision of the day will be where to enjoy the views. Family room with ample seating and wall mounted flat screen TV. Reverse view of family room towards kitchen. Back of house with access to 2 car garage. 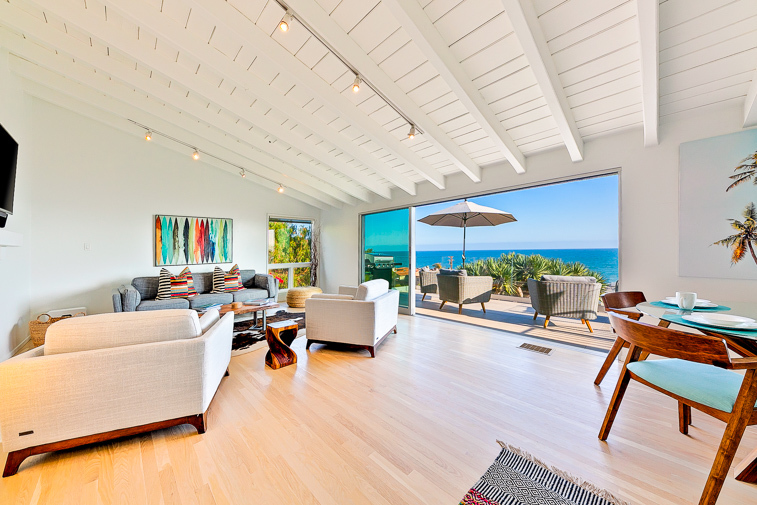 This 3-level naturally light, bright home located in the heart of Malibu - with spectacular whitewater, ocean, and coastline views - exudes a peaceful retreat energy with an expansive outdoor living space and inside spaces that seamlessly flow together. 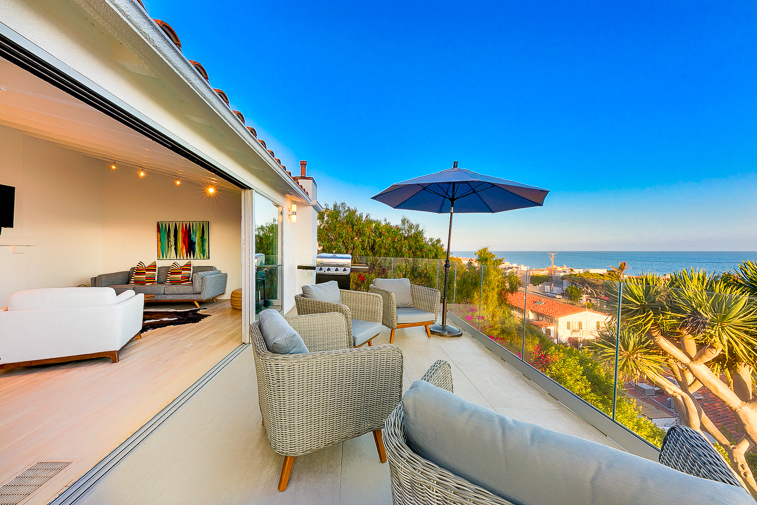 The large exterior ocean view decks off all 3 levels make your dream of convenient indoor/outdoor living a reality. With spaces for lounging, barbecuing, and enjoying your meals al fresco, as well as luxuriating in the newly added SPA. Mature landscaping and double gated entrances ensure your privacy as settle in to relax and enjoy this beautiful slice of paradise, where you are also only a short drive to a beautiful beach’s surf and sand. 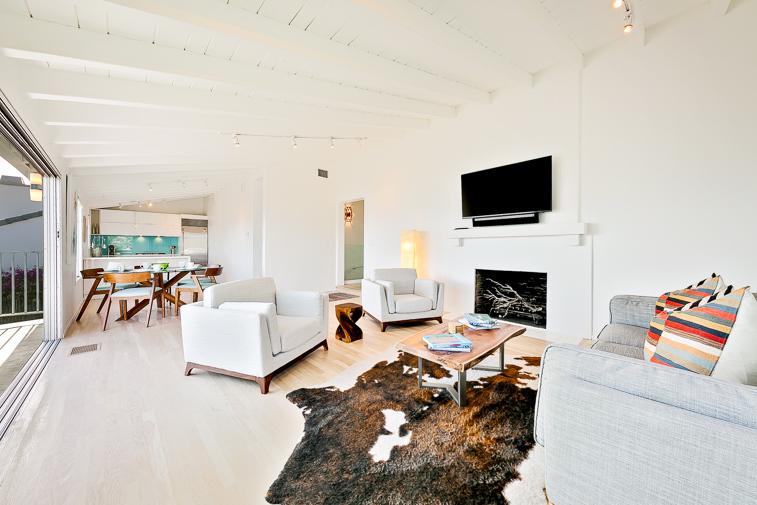 Hardwood floors throughout this 1500 sq. 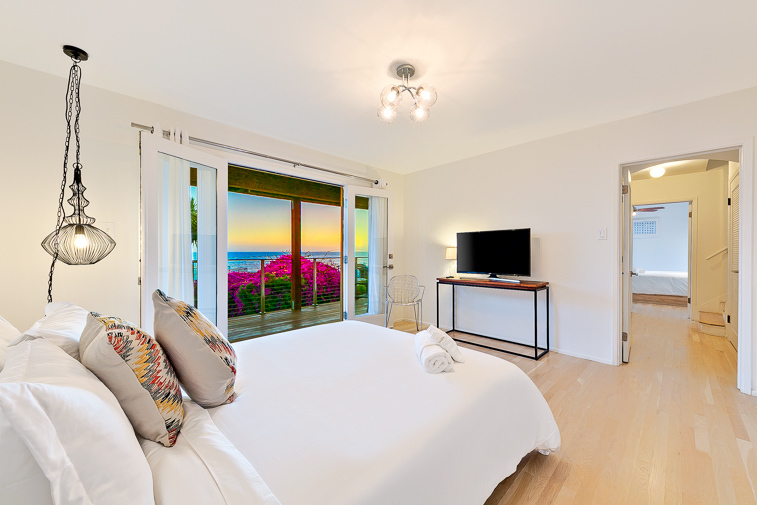 ft. 3-level, 3-bedroom, 2-bath home set the foundation for its crisp, clean, essence - starting with the great room that welcomes you with a sweeping ocean view, lots of comfortable cluster seating, and a large wall-mounted flat screen TV for your enjoyment. 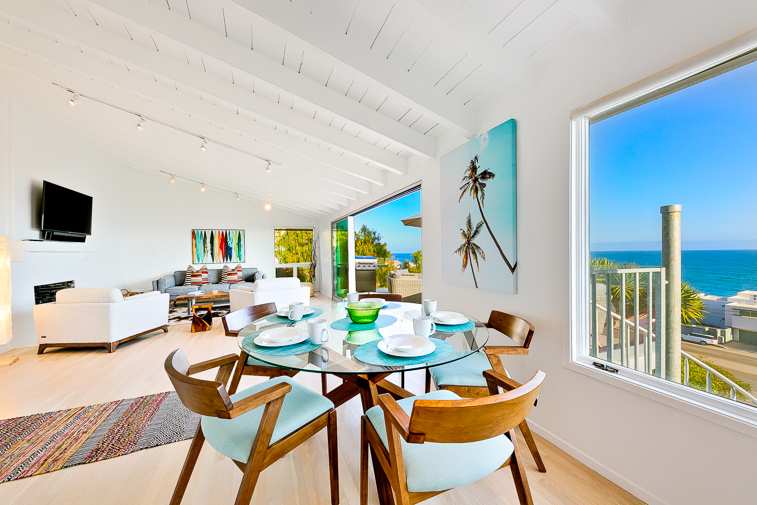 An ocean view window seat area flows from this living area into a view dining room for 6 and a well-furnished modern kitchen that has everything for you to create meals and snacks for your family or guests. Add the food and the fun, and enjoy time relaxing and reconnecting and recharging together. There is a private suite on the bottom floor and 2 bedrooms on the middle level with the Great Room on the top level . There is a king bedroom, 1 queen bedroom, and 1 room with a full (double) sofa bed, so this home comfortably sleeps 6 in beds. 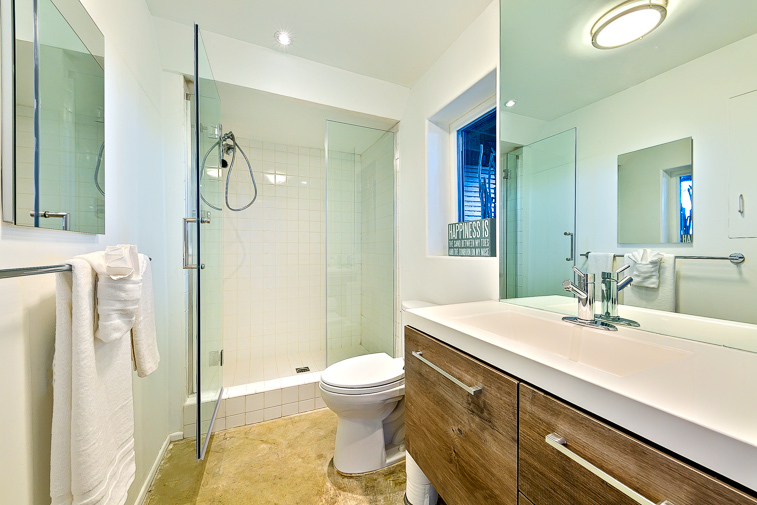 There are two bathrooms - one with a shower/tub combination, and the 2nd with a large walk-in shower. 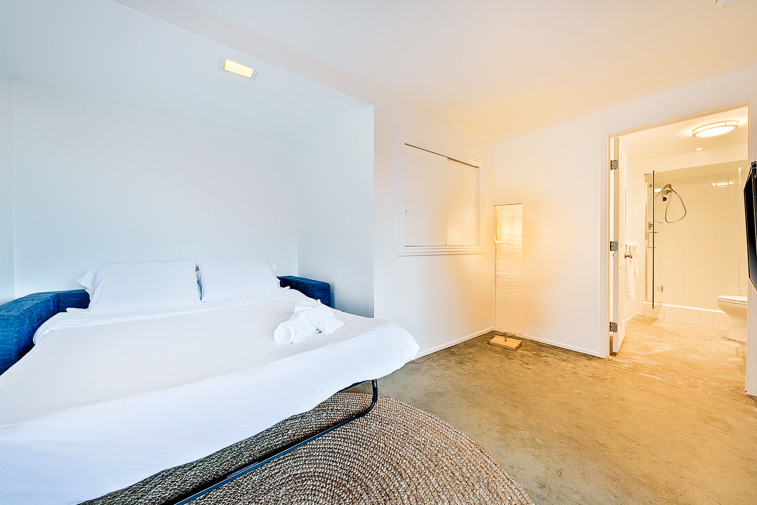 For your ultimate comfort all bed and bathrooms are furnished with an ample supply of quality linens. 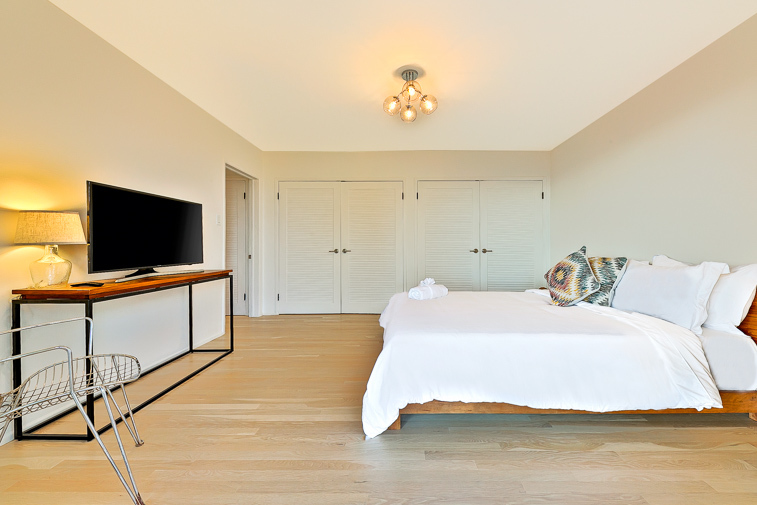 Additional amenities include air conditioning, 2 garage parking spaces (there is no driveway but there is street parking), a washer and dryer for your convenience and WIFI and cable. 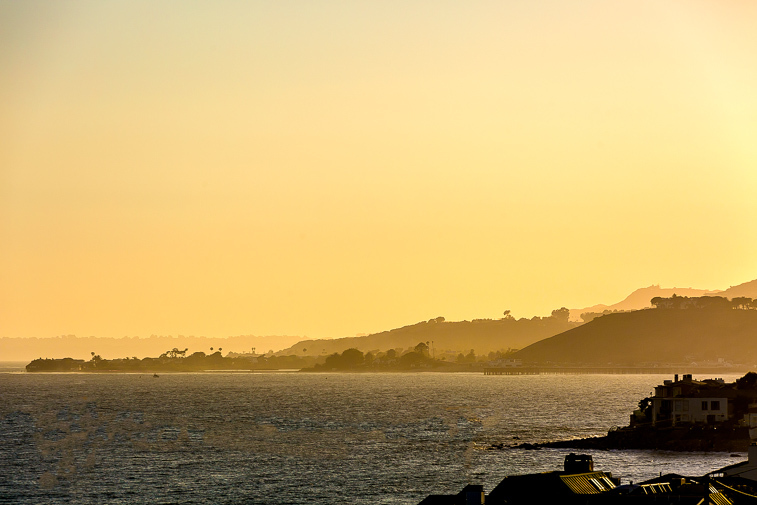 Malibu is a wonderful ocean front city with many fun things to do and some of the best year-round weather in all of Southern California. The memories you create here will last you a lifetime – may you have fun creating them. 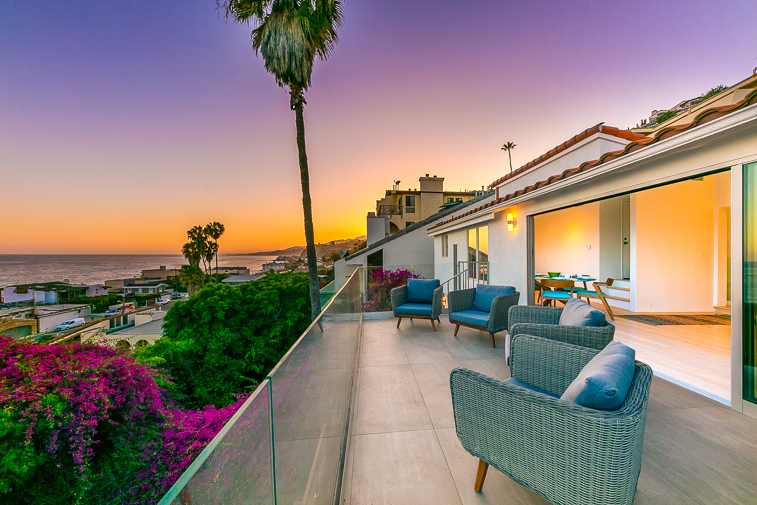 It is a short drive to beautiful beaches and when you are not at the beach you can enjoy sweeping ocean views from almost every room of this home. 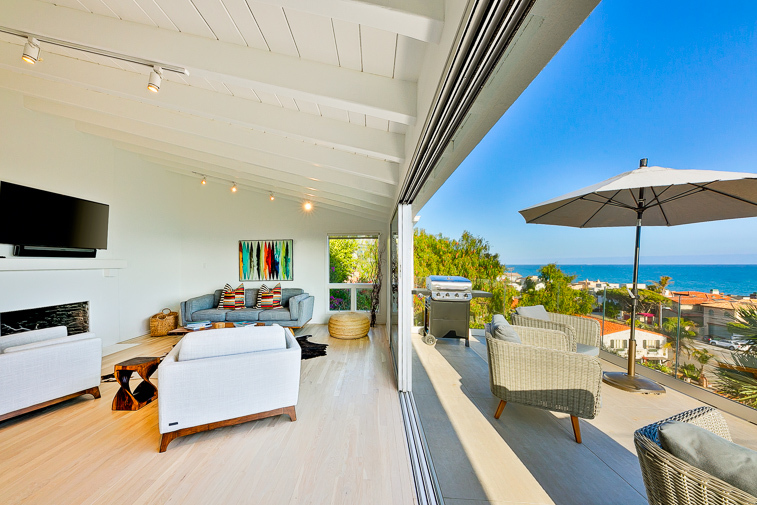 Its 3-tier deck makes it feel open and spacious, while maintaining a sense of privacy and quiet. Enjoy lounging, dining, and the spa whenever you want. 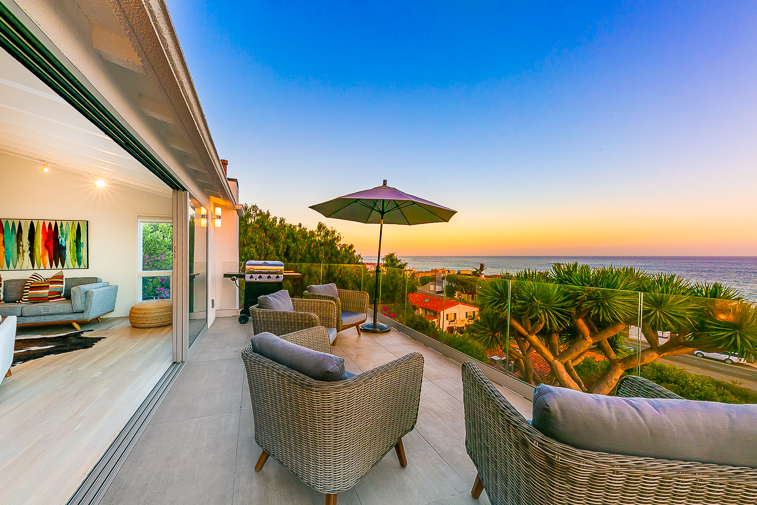 Malibu is a beautiful beach city with lots of things with excellent shopping and eateries – for those times when you are not at the beach or hanging out in your own retreat center. There may be an additional fee for air conditioning. Please ask our Reservations Team for details. We enjoyed 9 wonderful days & nights here! Walking the beach, eating great food & relaxing by the ocean! Highlights included breakfast burritos at Country Kitchen, happy hour & tacos at Duke's, local hikes and being hypnotized by the Pacific! 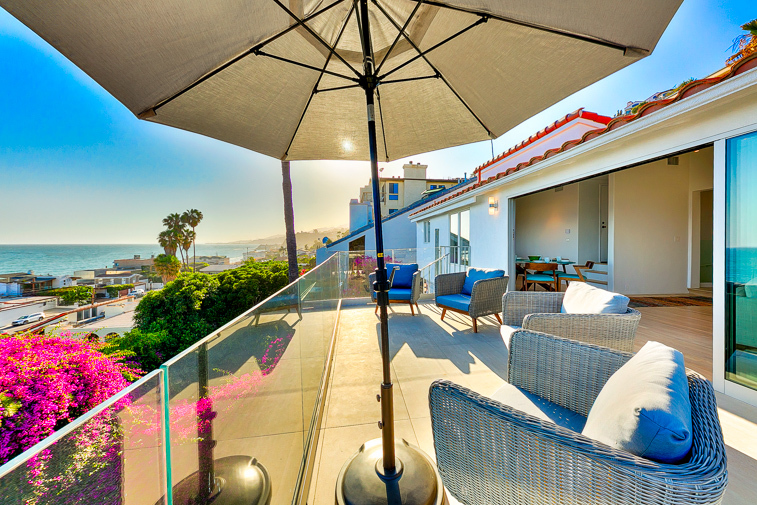 An easy drive to LA and Santa Monica -- and Venice & Manhattan Beach -- what a great spot. Enjoyed by adults & teens! 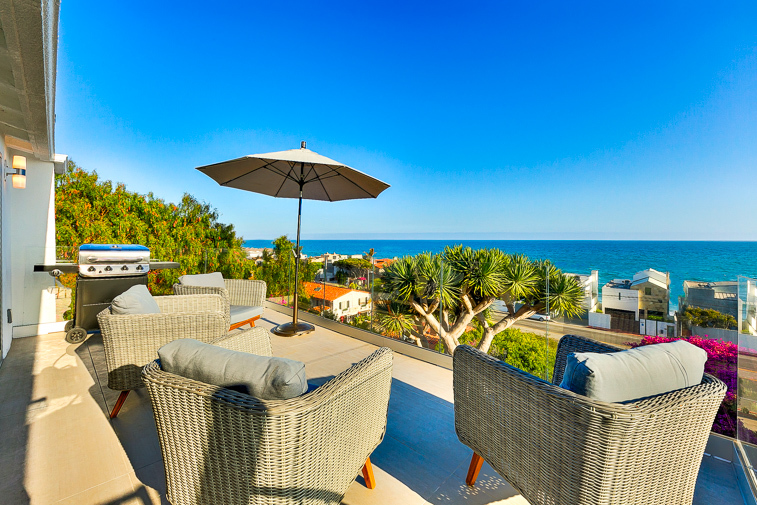 - Reviewed By Maria G.
Beautiful beach house with amazing views! 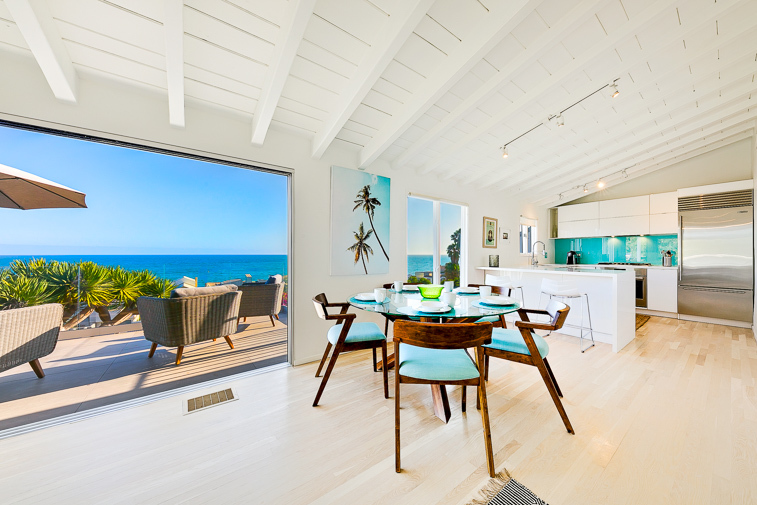 This is real find in Malibu - beautifully renovated - tasteful and contemporary design and decor. 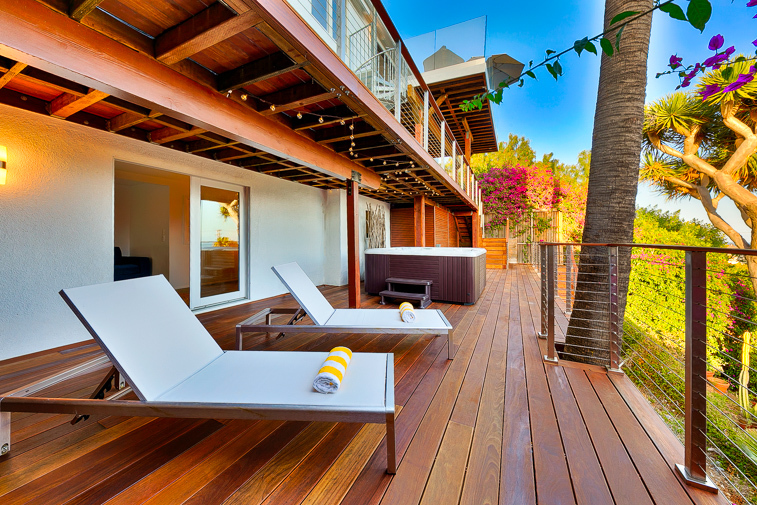 Multiple outdoor decks to choose from - you can easily spend your time on the top outdoor deck overlooking the ocean. We'd sit and have our coffee out there every morning. We loved the expansive views from where the house sits at the top of the road and you overlook a beautiful flowering tree in the backyard. Beds and pillows were very comfortable and great linens. 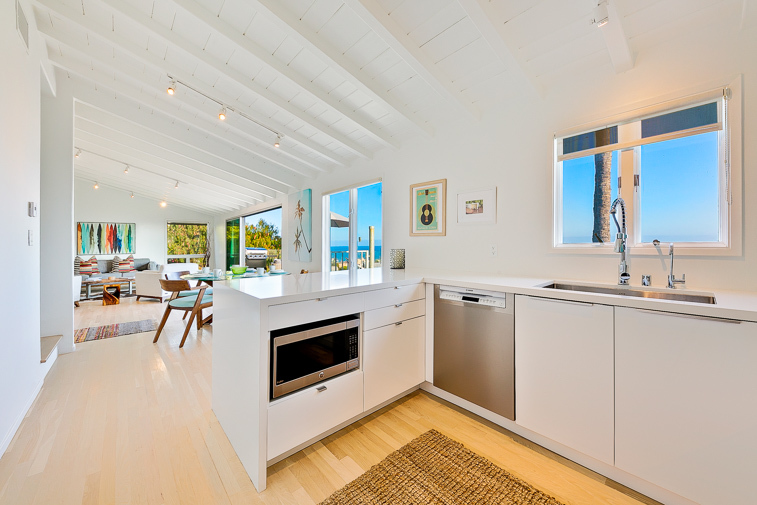 Very centrally located to whatever you need in Malibu. 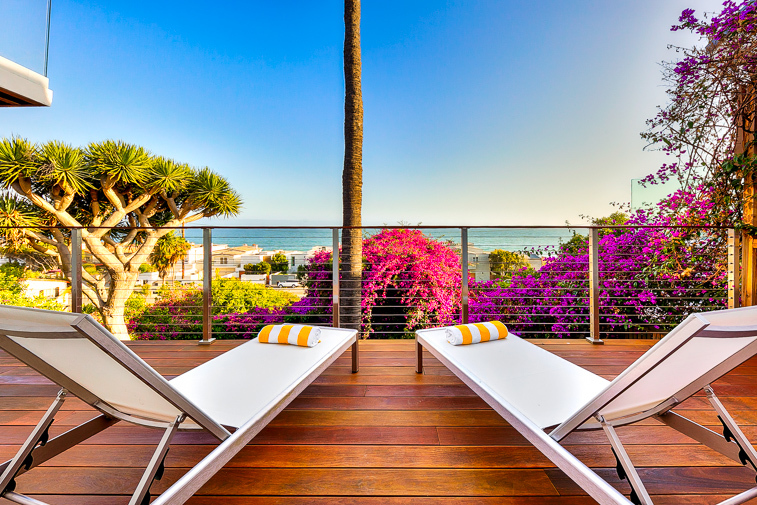 Best deal in Malibu for a gorgeous contemporary getaway. We'd definitely stay again! - Reviewed By Kim G.